Your favourite office fruit delivery company opens its London office at the beginning of April. 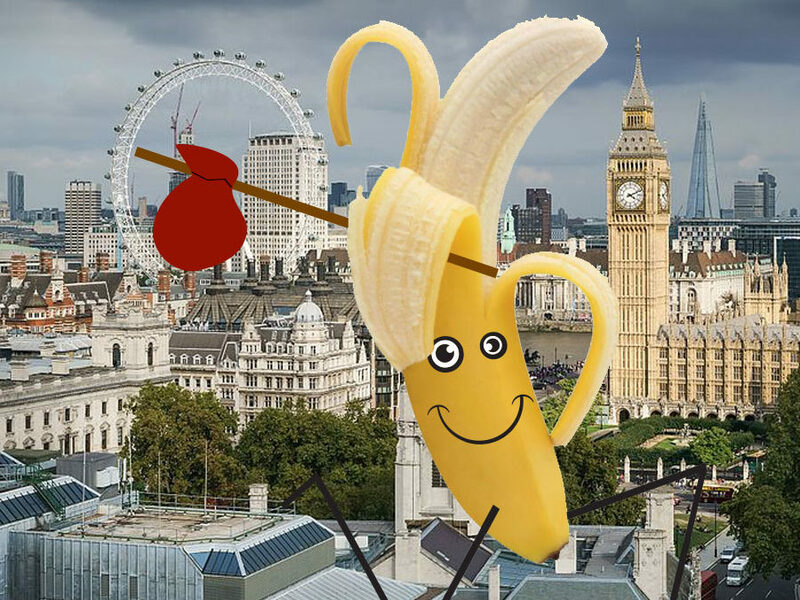 And soon the streets of London will hear the patter of Skinner (the banana) and Milky’s feet as they deliver the finest, freshest seasonal fruit to offices in London. After many requests from customers in Midlands offices, who’s counterparts in London wanted to experience quality and flavour of fruit that they’v been enjoying, Milky and Skinner have taken the wheel and want to pave the streets with fruit not gold. So if you’re based in London, why not give Fruitrunner a call today and get the finest, freshest fruit delivered straight to your office.